Press Release: Close on the heels of three new launches in recent weeks, Hero Honda Motors Ltd., the world’s largest two-wheeler manufacturer, today launched yet another bike leading into the festive season. 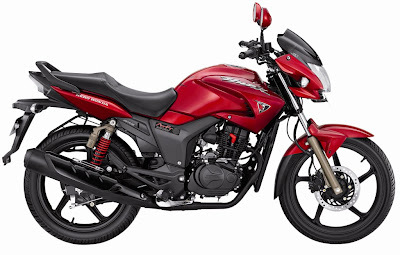 The newly refreshed Hero Honda Hunk 150cc will include exciting new features which would add to both the ride experience as also muscularity of the product. 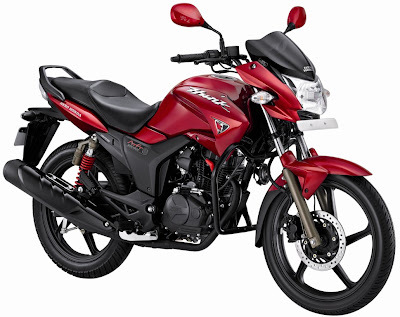 Hero Honda recently launched the New Super Splendor, Splendor Pro and a Commonwealth Games Limited Edition bike. The introduction of the New Hunk takes the company’s new launches for the festive season to four bikes now. “Hero Honda’s strategy of constantly upgrading its product range has been instrumental in driving our growth. The new Hunk is another step in this direction and the launch will be supported by a 360 degrees marketing programme.” Beyond its exciting appearance, the irresistible Hunk now comes with Analog & Digital Combo Console, Red Hot LED Tail Lamp, Front & Rear Disc Brakes, Tubeless Tyres, Muscular Front Fender and New Style Visor. With all these loaded in, the rider is sure to have an enhanced riding experience. The new Hunk will be supported by a high visibility campaign highlighting “the all-muscle Hunk” to further enhance the macho and muscular image of the bike. In a segment where customers seek styling, performance and added features, the all new Hunk will provide a perfect blend of great features and comfortable ride even in extreme road conditions. The Hunk features an Air Cooled, 4 - Stroke Single Cylinder OHC engine, delivering raw power of 14.2 BHP @ 8500 RPM and a torque of 12.80 N-m even at a low RPM of 6500 with unmatched super acceleration of 0-60 Kmph in flat 5 seconds. The Advanced Tumble Flow Induction Technology (ATFT) engine delivers the best balance of Fuel efficiency and Power and an advanced Microprocessor Ignition System with Multi Mapping Digital CDI enhances quicker throttle response. Priced at Rs 59,990/- (cast/disc/self, ex-showroom Delhi), the New Hunk is being made available at all Hero Honda dealerships across the country. Hero Honda continues to strengthen its growth in the premium segment (150 cc+) with its range of five models now - Hunk, Achiever, CBZ Xtreme, Karizma and ZMR.